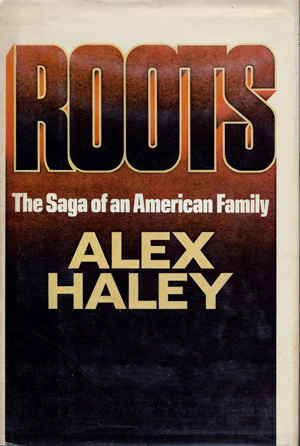 Much of the conversation surrounding the 2016 remake of the late Alex Haley’s critically acclaimed miniseries “Roots” that aired on A&E earlier this month had people talking about if there is still relevance and value in teaching the history of slavery. Those were just a few questions raised in a national debate about the new adaptation chronicling the history of an African kidnapped from his native land, sold to America as a slave and his descendants. Just as the original miniseries, the remake stirred debates, anger, excitement, and curiosity across the country, even before it began airing on Memorial Day, May 30. People’s reactions varied. “My immediate response is it’s part of a White supremacists agenda to make us feel as if we’ve only been slaves,” said Attorney Legrand Clegg, II of the Committee to Eliminate Media Offensive to African People. He said recent films like “12 Years a Slave,” “Django Unchained,” now the 2016 “Roots” and more slave programs planned to air soon are part of a larger agenda. “No matter how great you’ve been, we will not emphasize that,” is only part of the message being signaled to Blacks, he said. “Roots” came out 40 years ago in 1977, he noted. But so did late scholar and historian Ivan Van Sertima’s “They Came Before Columbus,” which chronicled the lives of Africans who reached and civilized pre-Columbian America, he continued. “Why not focus on that one?… Why not present evidence that Africans came to America before Columbus, those pyramids and obelisks and the pyramids that were built in Central America and the monuments … in Mexico and the pyramids there reflect the greatness of Black people,” Atty. Clegg said rhetorically. “Why not focus on that? Because their conspiratorial agenda is we will depict you in the worst possible light and spread the lie that you’ve never done anything, and that’s why what the Nation of Islam and Minister Farrakhan are doing is critical, because it uplifts Black people and reveals to us the greatness that was ours in antiquity,” Atty. Clegg argued. Some highly anticipated the remake, while others shunned it altogether. Some told The Final Call they could not get through watching even the first episode. They charged it with attempting to “rock Blacks back to sleep” with a false narrative about the Trans-Atlantic Slave Trade. 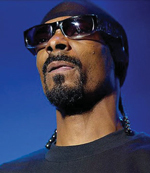 Rapper and entertainer Snoop Dogg (Calvin Broadus, Jr.) came under fire for expressing his displeasure about the remake. “… I’m sick of this s—-. How the f—- they’re gonna put Roots on on Memorial Day. They going to just keep beating that s—t into our heads about how they did us, huh? I don’t understand America. They just want to keep showing the abuse that we took hundreds and hundreds of years ago, but guess what? We’re taking the same abuse. Think about that part,” he stated. Will Packer, producer of the “Roots” remake was quoted in the Tallahassee Democrat that he understands peoples’ uncomfortableness with revisiting the reality of that time, he vehemently disagrees with Snoop’s and critics’ stance. “While I certainly don’t judge Snoop at all because I’m very flawed myself, I just think, the irony of having him saying and using the n-word, saying, ‘A real n-word like me wouldn’t watch this. … I couldn’t help but think there’s a ghost of some horrendous slave owner that is smiling and smirking as he watches this Black man say that and call himself that … I think that slave owner probably said, ‘Preach. I agree,’” Mr. Packer was quoted as stating. 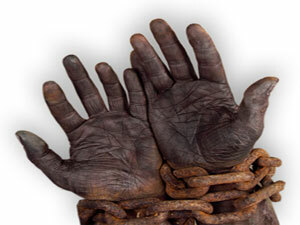 “What I’ve seen I’ve found interesting and most importantly, factual, because there are a lot of movies that have been made about slavery that just don’t hit the mark,” said Gwen Ragsdale, who along with her husband, J. Justin Ragsdale, curates the Lest We Forget Black Holocaust Museum of Slavery which opened in Philadelphia in 2002. In fact, some “slave” movies are almost exploitive in some cases, she opined. 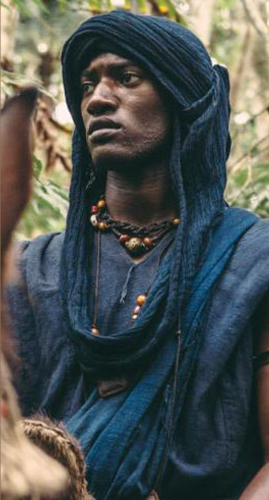 “Roots has taken it to another level from the original Roots. The acting is just superb, and the information that they’re using is very if not totally factual,” Ms. Ragsdale told The Final Call. She said she finds some Blacks’ dissatisfaction over slave movies interesting and intriguing as a curator of the Lest We Forget Slavery Museum. She said when the museum tours the country; they are often confronted by people who recoil when they see some of the artifacts, such as the shackles. “You can’t talk about American history and negate the hundreds of years that slavery existed here in America, and it was primarily a question of slavery still exists today, and a lot of our people don’t want to understand it, and in some cases don’t even believe it,” she stated. Ms. Ragsdale added that quite frankly, she does not believe society can talk about slavery enough or make enough feature films or documentaries about the time period referred to by many as the African or Black Holocaust. While he felt the “Roots” remake left some issues unaddressed, Ayuko Babu, executive director of the Pan African Film & Arts Festival, also felt it was necessary. “Anytime we get a chance to see our story and have some insight into our lives, notwithstanding the self-hatred Black folks exhibit when they say they’re tired of seeing slavery—because we ain’t seen that many slave stories in the first place. That’s a mythology—I think it’s very important that our story gets told,” Mr. Babu told The Final Call. According to Mr. Babu, the new series debunks sentiments expressed by some critics, that it presented Blacks who enslaved themselves. “That’s a distortion. It showed resistance. It showed anger. It showed that we have still kept on believing in White folks too long, and did not learn our lesson,” Mr. Babu stated. One of the weaknesses he felt the film exhibited was that it failed to clarify how Blacks were enslaved and that Whites just followed suit. “That’s not true. Black people did not sell Black people into slavery,” he said. During the slave trade, there was no such thing or consciousness called Black, because the whole world was Black, as far as Blacks were concerned. There was no Africa, he stated. 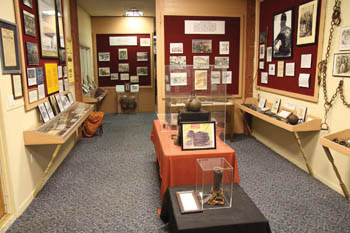 The “Lest We Forget Black Holocaust Museum of Slavery”. Dr. Ray Winbush, Director of Urban Research at Morgan State University, told The Final Call there is a great need for the retelling of the Roots story. J. Justin Ragsdale curator of the “Lest We Forget” Black Holocaust Museum agreed with Dr. Winbush’s assessment. He told The Final Call the Roots story is essential.